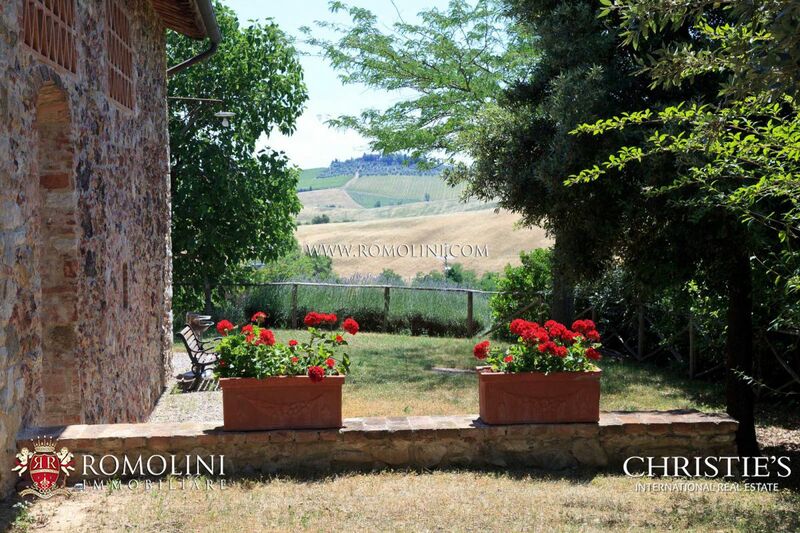 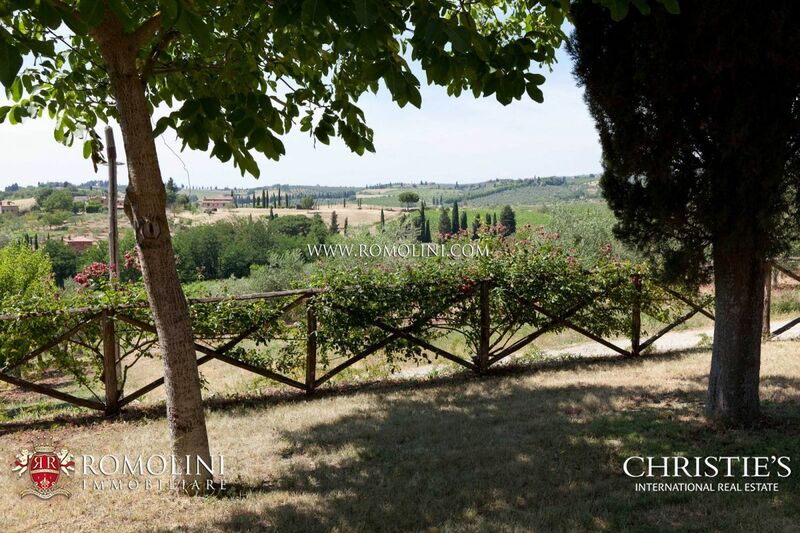 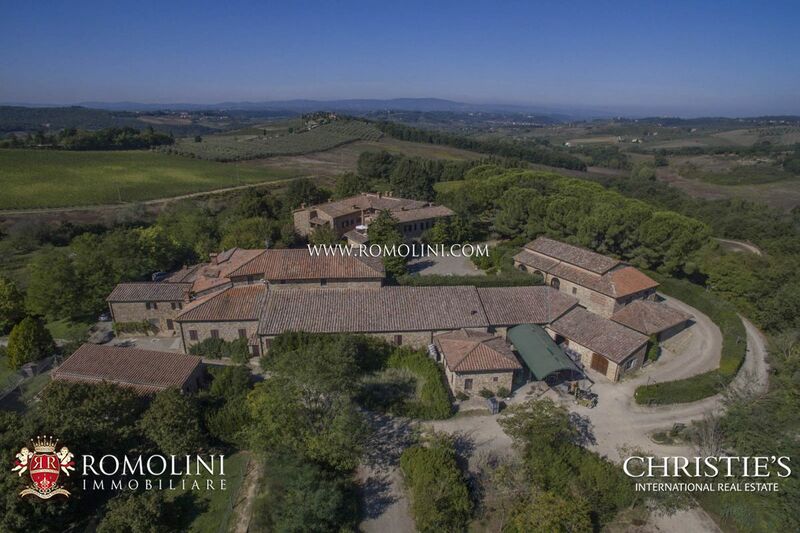 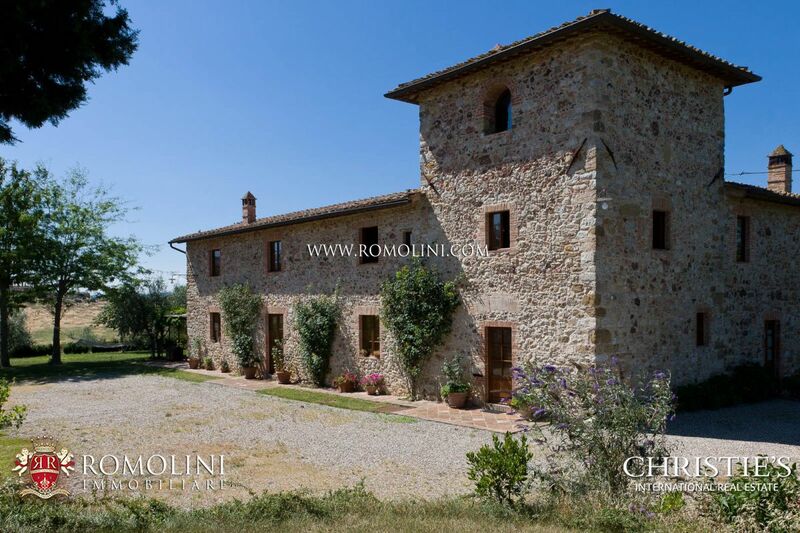 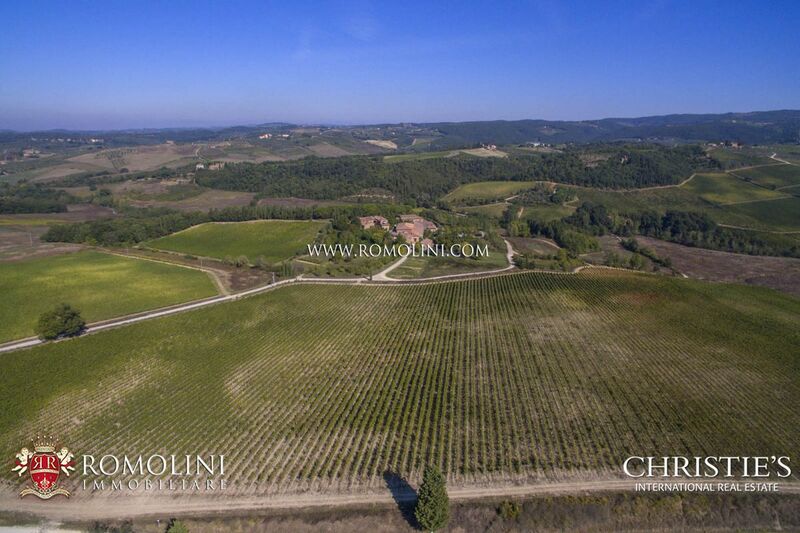 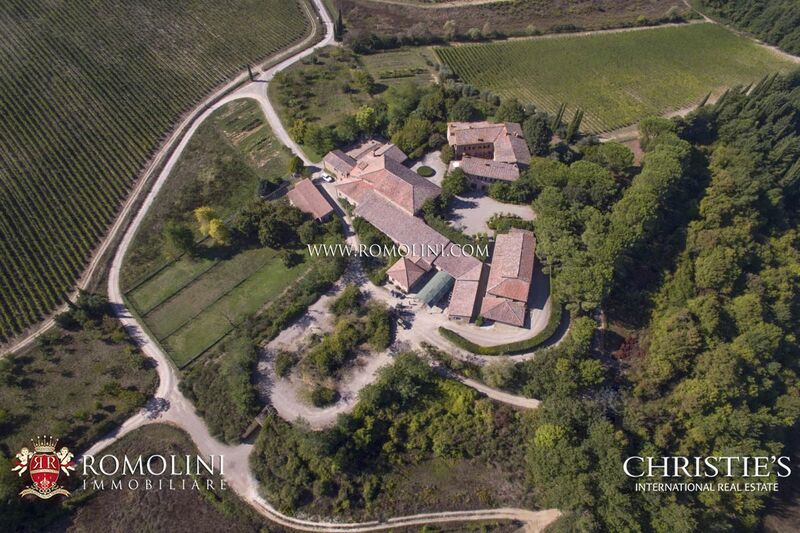 In Tuscany, in the Chianti Classico area, hamlet with organic wine estate with 165 ha of land. 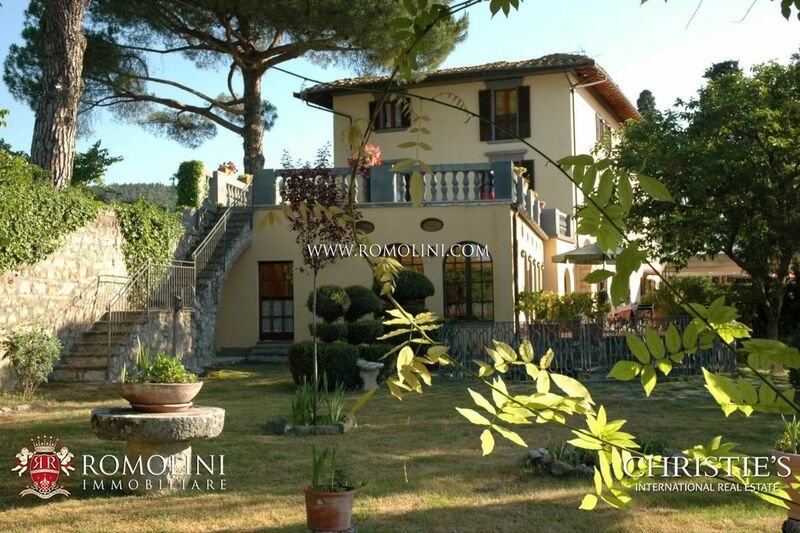 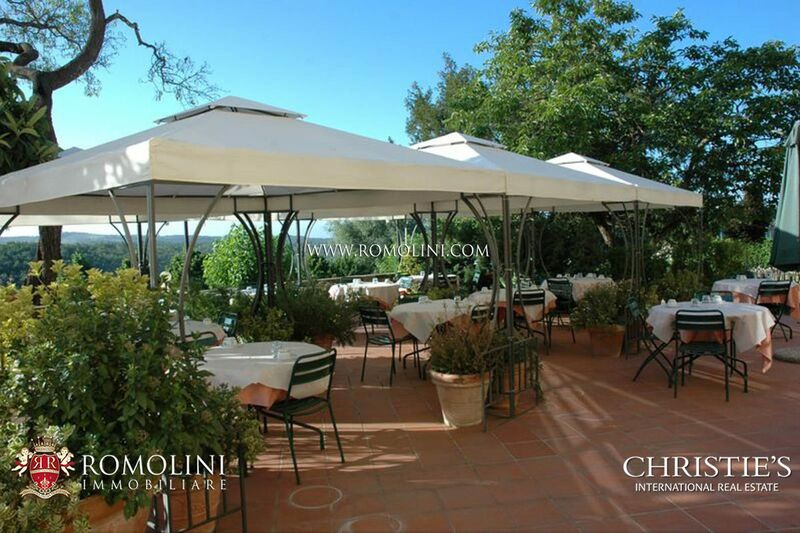 Agriturismo, restaurant, 45.6 hectares of vineyard and 6.7 hectares of olive grove. 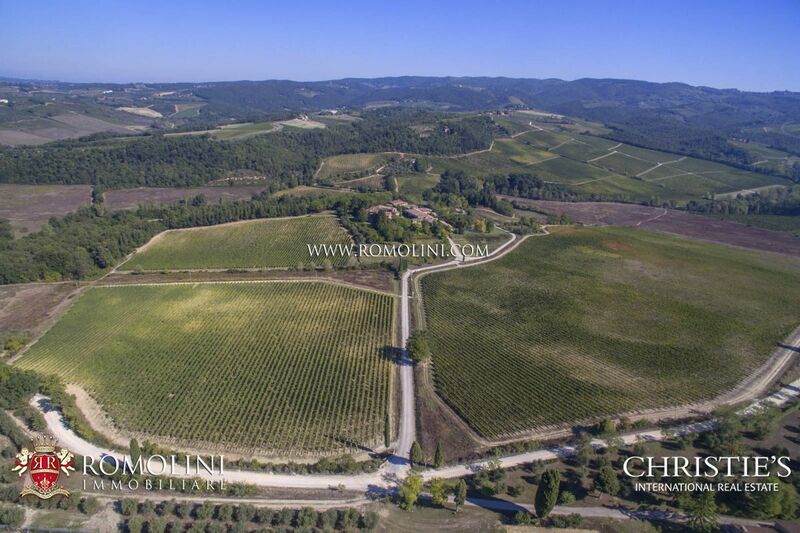 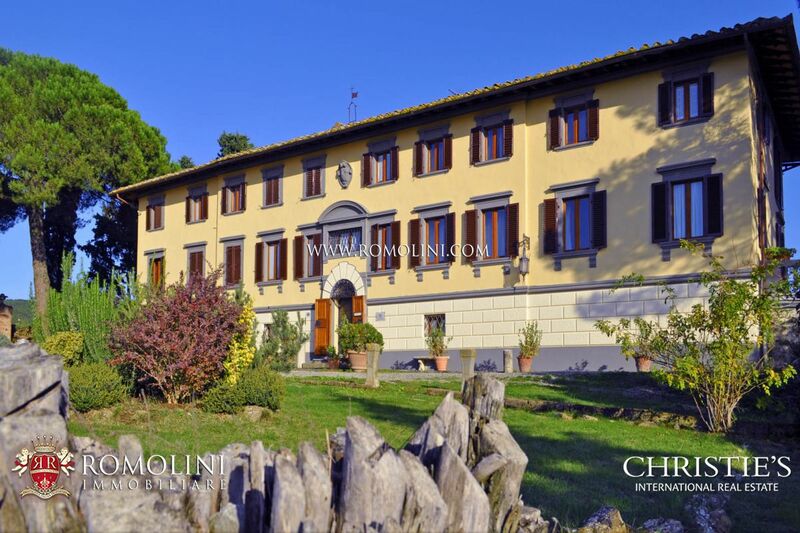 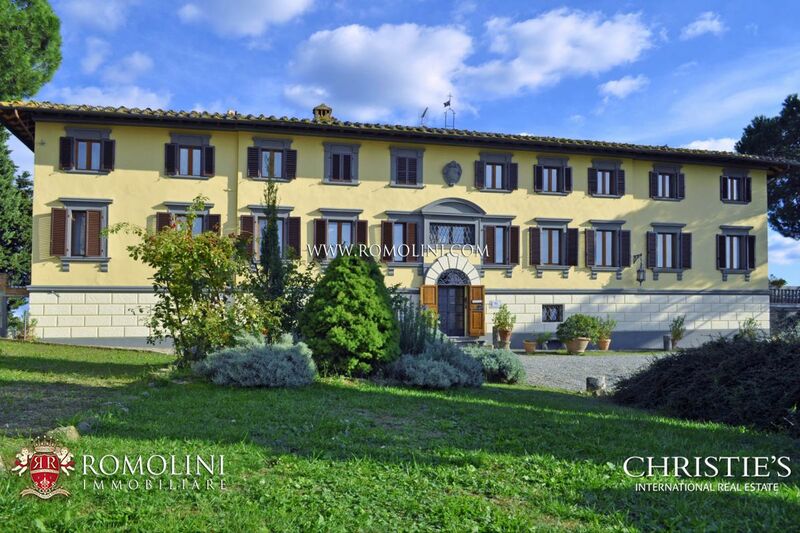 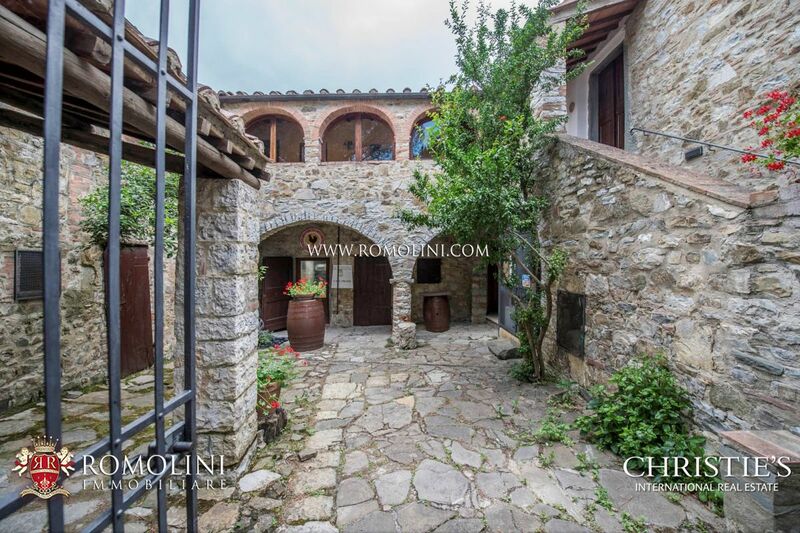 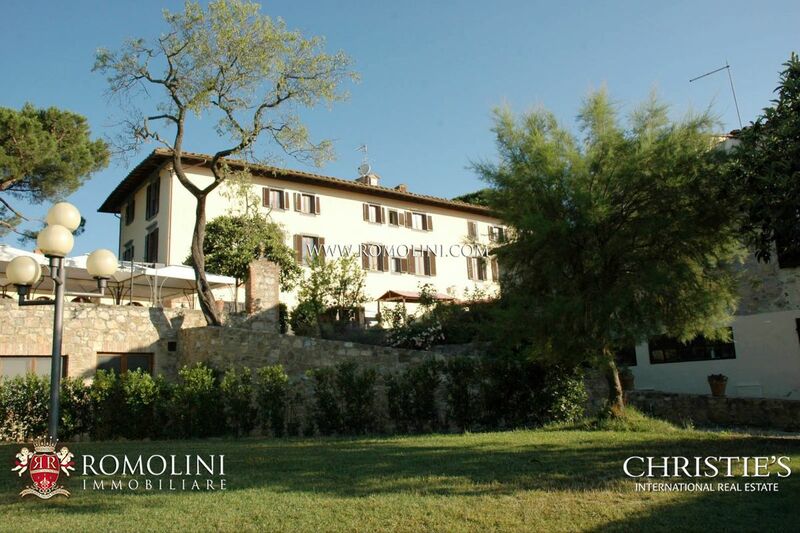 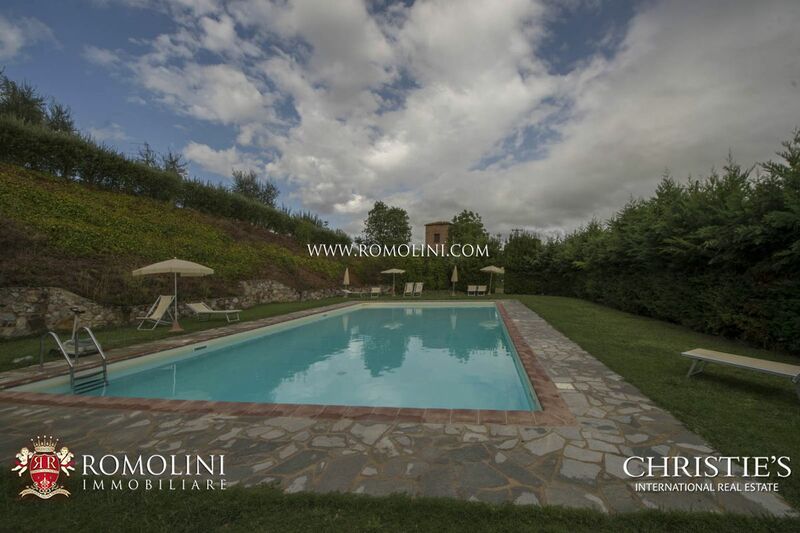 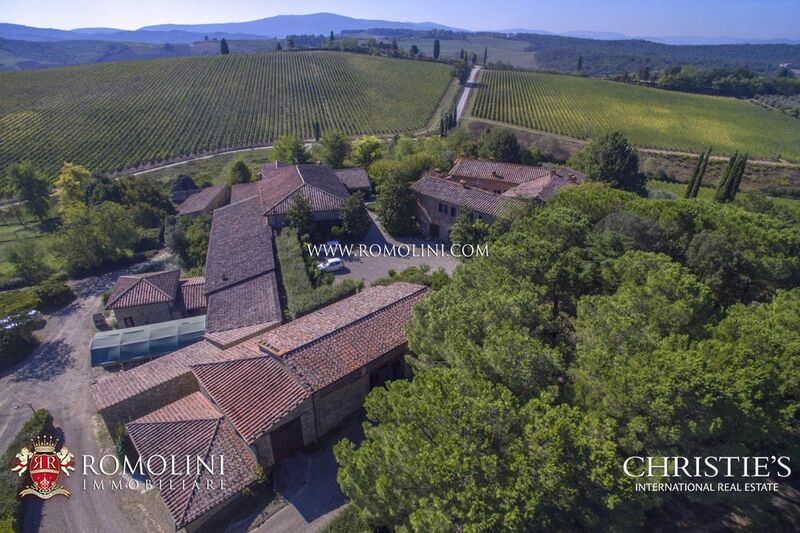 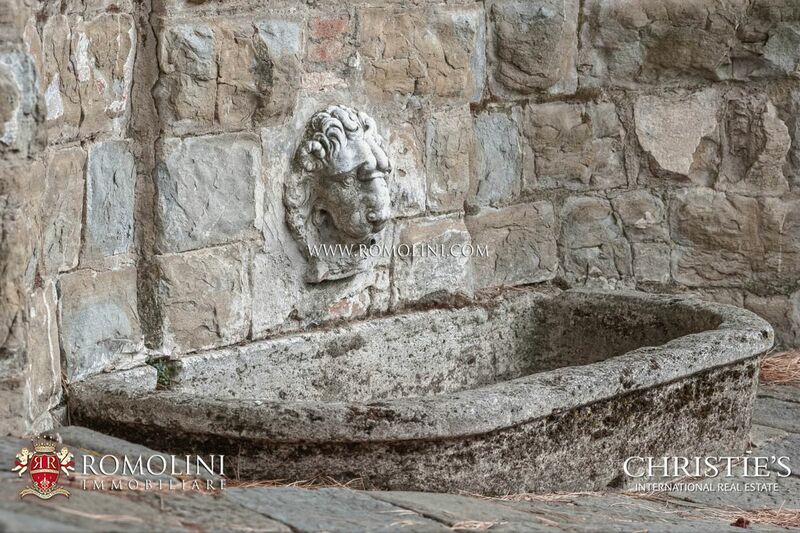 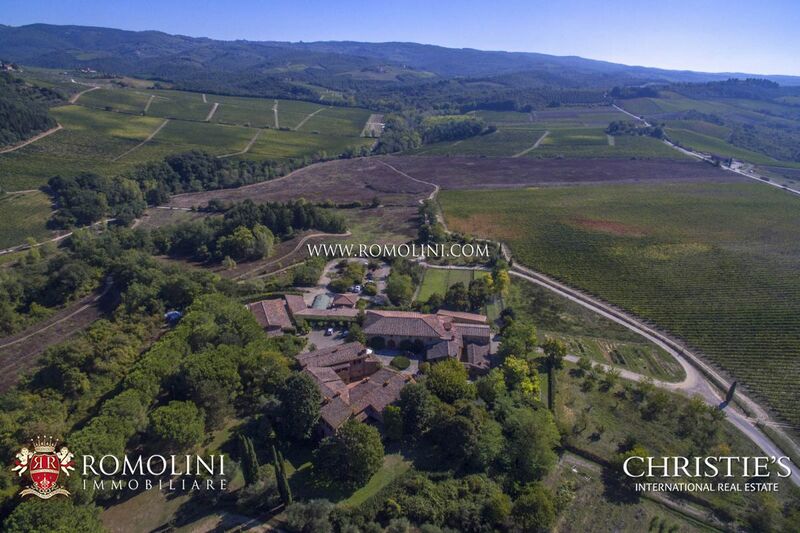 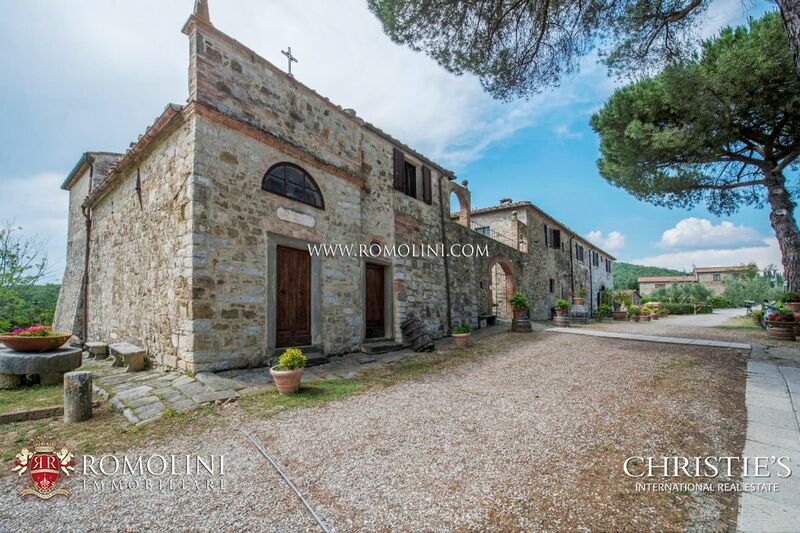 The property is composed of two separate estate: one in Castellina in Chianti, with part of the vineyards and the Agriturismo with 8 apartments and one in Poggibonsi, with the remaining part of vineyards, the cellars, offices and the manor house. 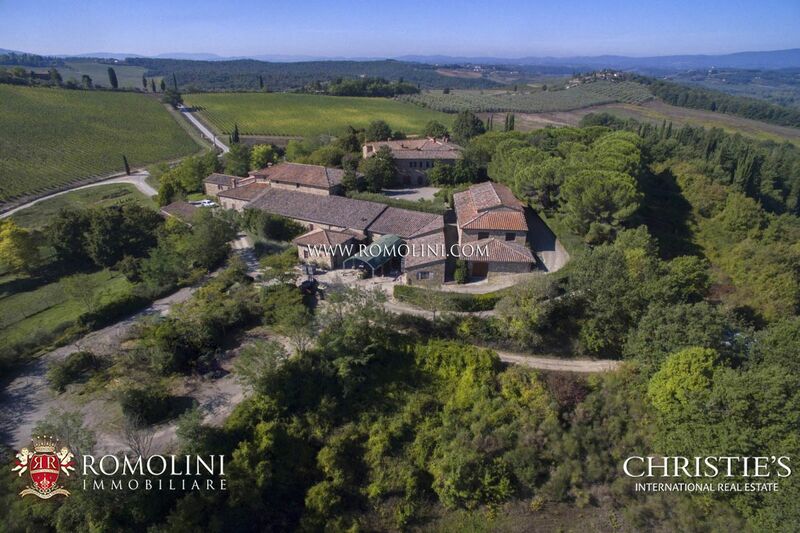 In Tuscany, in the Chianti Classico, luxury estate with 18th century villa, Agriturismo, restaurant, apartments, winery, riding stables, tennis court, pool and 180 ha of land, of which 10 ha of Chianti Classico DOCG, 3,000 olive trees, 100 ha of mixed woodland, arable land and grazing land. 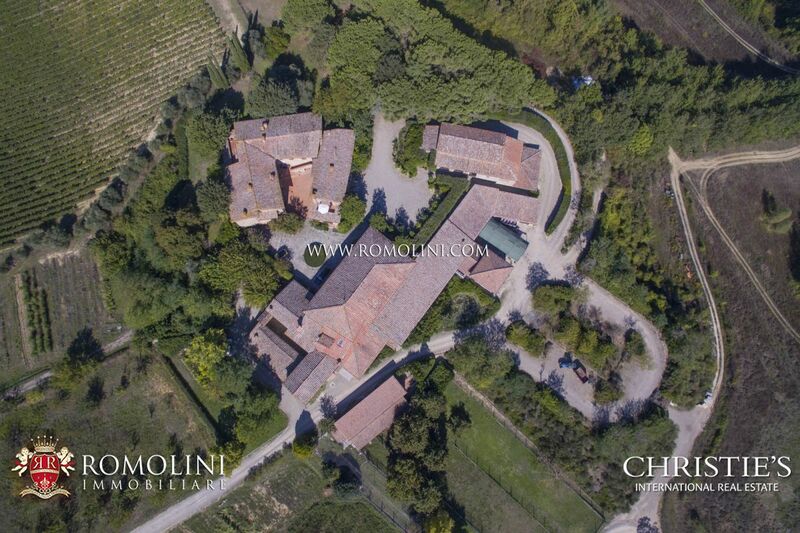 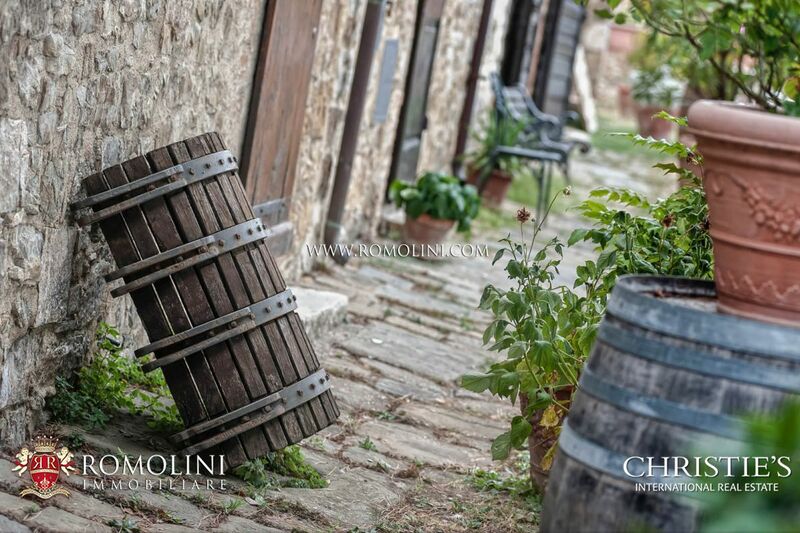 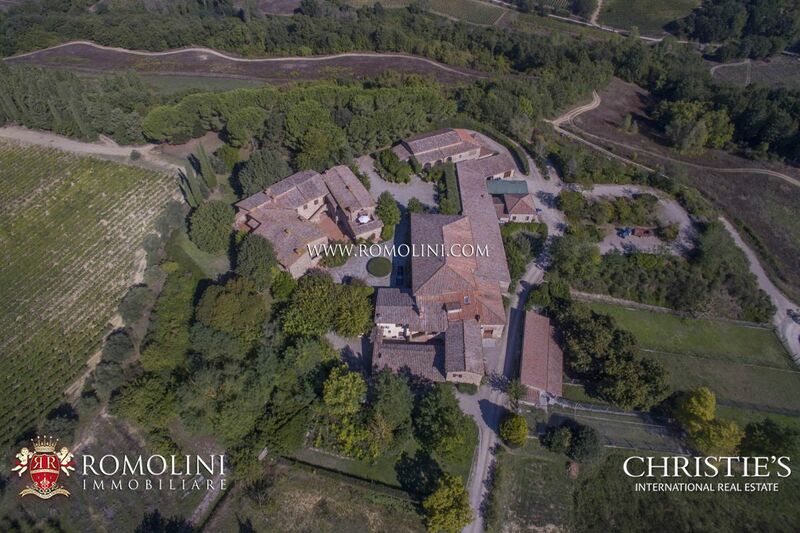 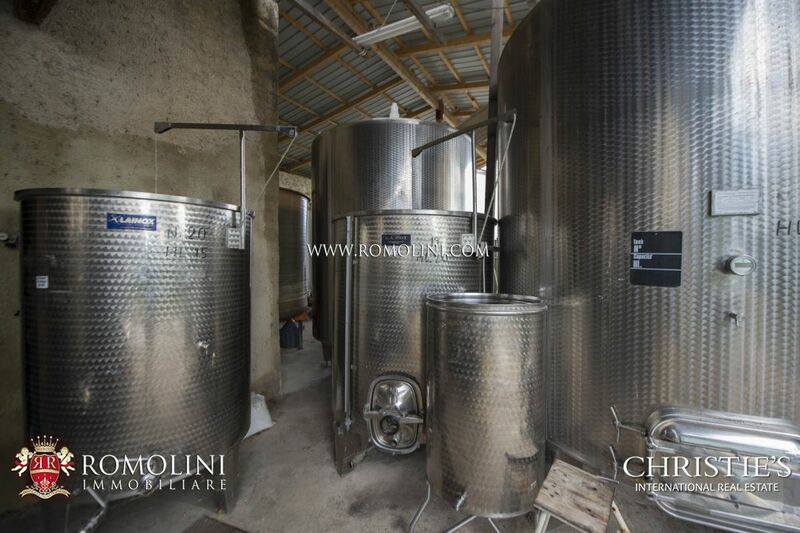 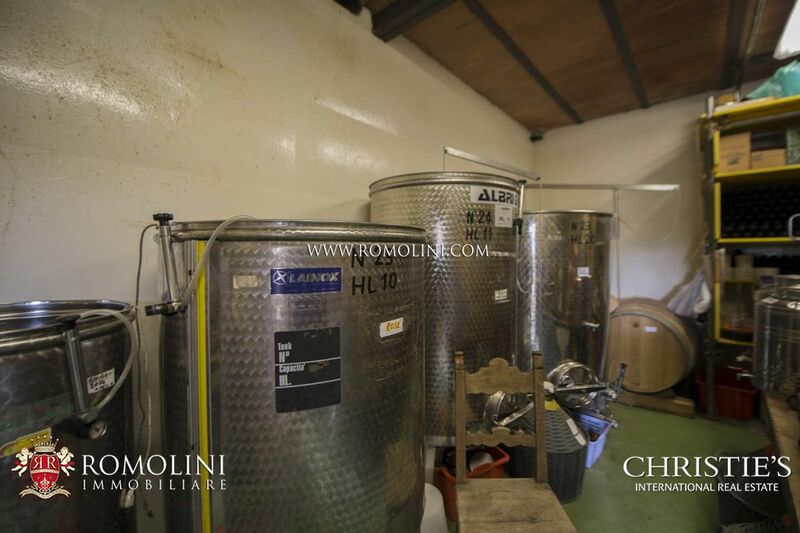 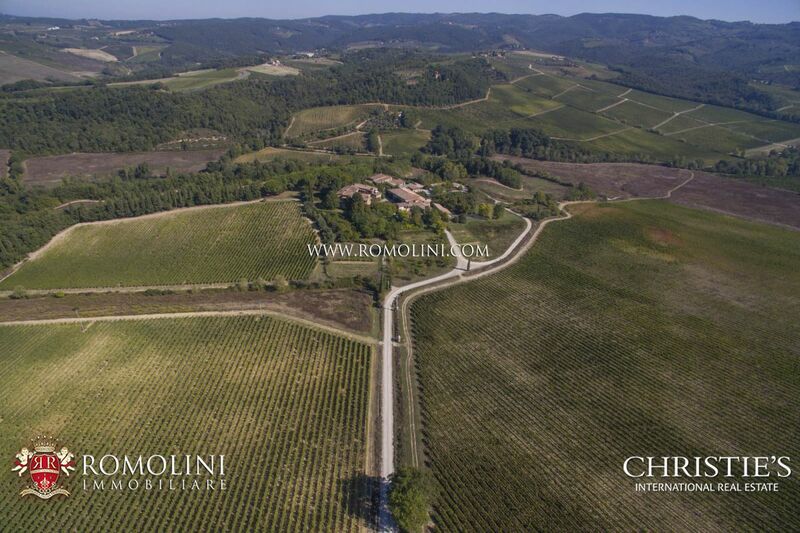 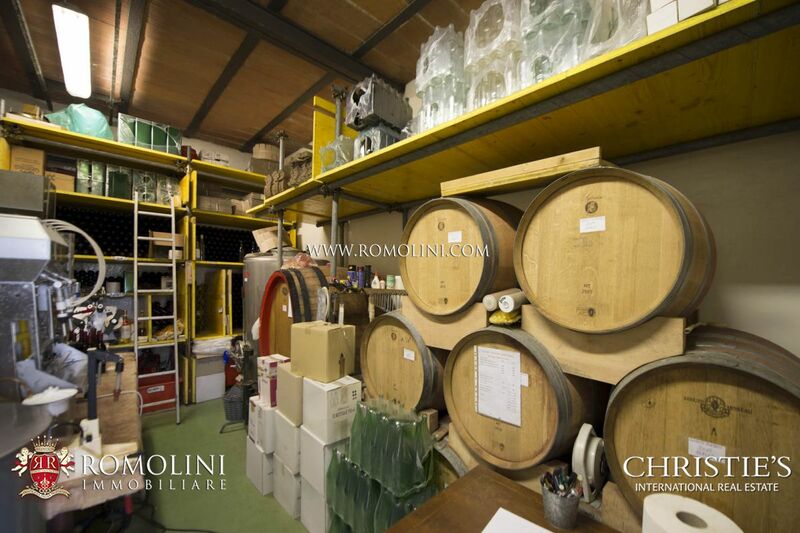 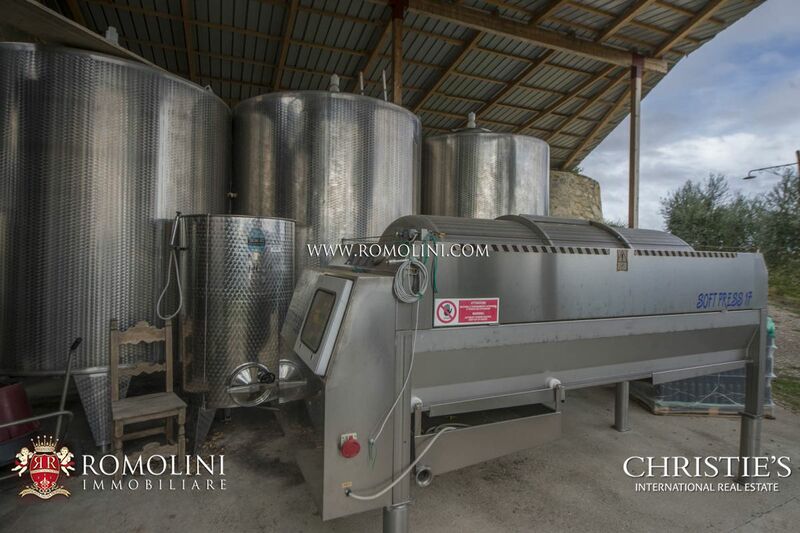 The estate produces 430 hl of Chianti Classico DOCG and 70 hl of IGT wine. 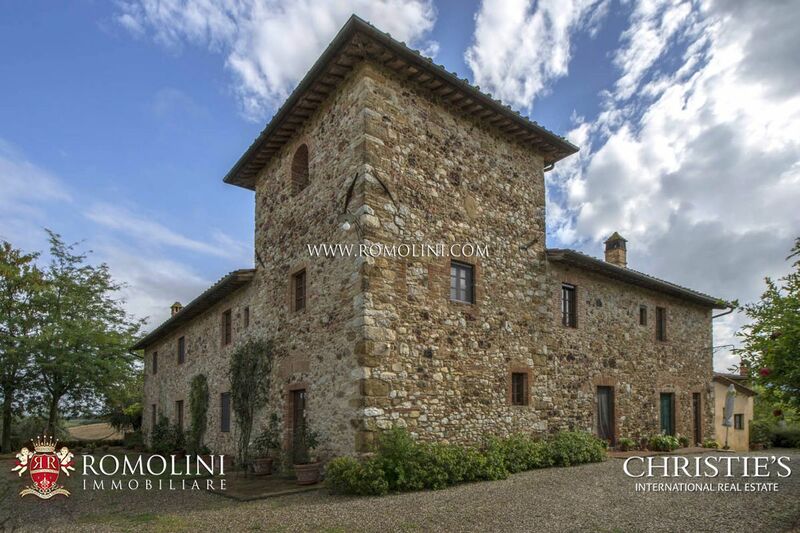 In Tuscany, between Siena and Florence, in the heart of the Chianti Classico, medieval hamlet with Agriturismo and 47 hectares of land. 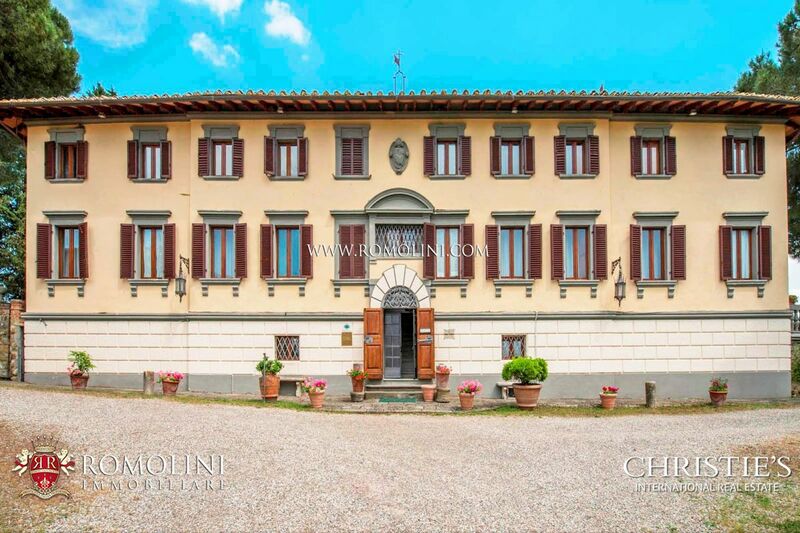 The property, in good condition and already habitable, has 15 bedrooms and 11 bathrooms. 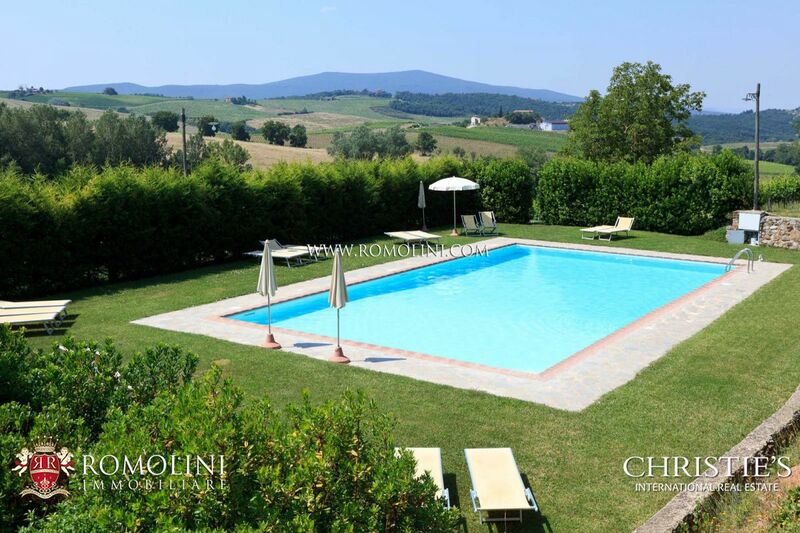 It includes an Italian garden, perfectly maintained and enriched by numerous statues, and a beautiful pool with panoramic views and a sunbathing area.